We know that the best way to support people’s health is to ensure they have the supports they require, close to home, when they need them. That is why we are changing the way we plan for the needs of communities across the LHIN. 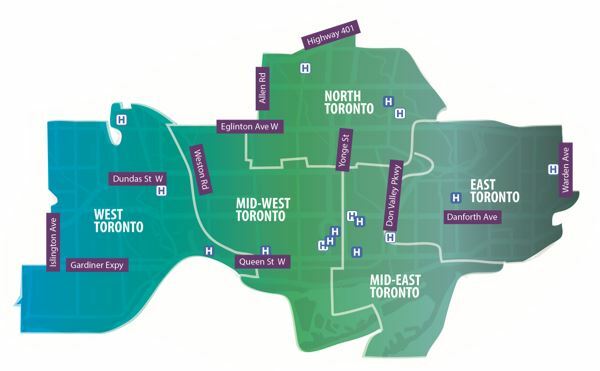 In consultation with residents, patients, caregivers and health service providers, Toronto Central LHIN has created five distinct planning areas, or “sub-regions” to help us better understand local needs. We expect this change to have significant positive impact. It will help us plan for the unique needs of communities, more effectively integrate care and services across sectors and providers, and enhance our ability to evaluate the results of our work. It is important to note the sub-regions are for planning purposes only and will not limit patient or provider choice. The five sub-regions, illustrated in the figure above, were identified based on existing neighborhoods and population characteristics, as well as data detailing patterns of patient care within our LHIN. You can learn more about the make-up of each sub-region on our website. 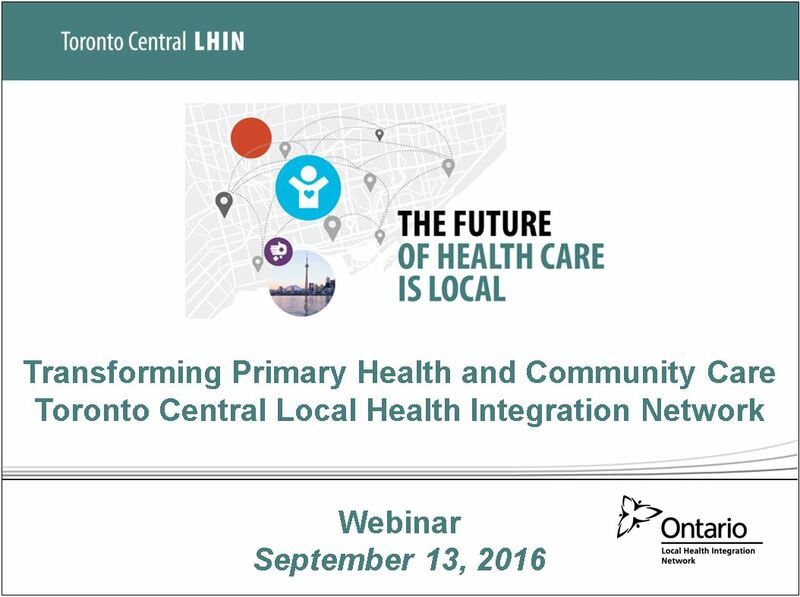 On August 11, 2016, we hosted a webinar for health service providers to give feedback on the geographic mapping of these sub-regions and inform ongoing planning within Toronto Central LHIN and at the provincial level. We invite you to check out the presentation and related documents posted on our website and share any comments you have with us. What’s next? Facilitated sessions with providers, patients and partners will be held within each sub-region in October 2016 as part of our plan to build strong local collaboratives across the LHIN. Learn more about our inaugural cross-collaborative meetings earlier this year and stay tuned for more information. Developed a primary care strategy informed by physicians, inter-professional teams, providers and patients. Appointed Primary Care Clinical Leads to oversee primary care improvements efforts across the LHIN. Hosted cross-collaborative meetings in each sub-region to strengthen partnerships at the local level. These foundational activities have moved us closer to our longer-term objective of developing a Primary Health and Community Care Strategy for Toronto Central LHIN. So, where are we now? We will continue to strengthen coordinated care planning for complex patients by aligning Health Links within our five sub-regions and integrating this important support network into our Primary Health and Community Care Strategy. What’s Next? Both the primary care and community care groups will continue to meet separately to organize themselves, with the long-term goal of combining efforts and integrating their work to facilitate seamless patient care. Shortly, we will be announcing more about our Integrated Community Care strategy, and who will be guiding our efforts to develop a vision and priorities in collaboration with our home and community sector. Stay tuned for that exciting announcement. 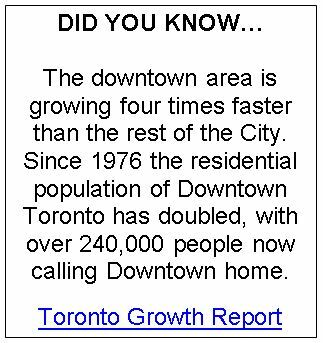 In January 2016, Toronto Central LHIN launched a review to better understand how urban growth in the downtown core has impacted emergency department visits and admissions in acute care hospitals since 2006. We are happy to report that the review is complete and the findings are very informative. The number of ED visits per year has grown by 34%; however, this growth in visit volumes has not been distributed evenly across hospitals, with some hospitals experiencing higher volumes than others. The number of admissions to inpatient care from ED has also grown considerably (35.2%). Similar to ED visits, admissions to inpatient care volumes vary across hospitals. Most of the people being admitted to inpatient care from Toronto Central LHIN EDs live within the LHIN. However, more than a third (37%) of visits to Emergency Departments are by people who live outside the Toronto Central LHIN. You can read the full report on our website. What’s next? The findings of the review will inform health system planning for years to come. In fact, it has already led to recommendations on how hospitals, our LHIN, the Ministry of Health and Long-Term Care, and the City of Toronto can proactively plan for the impact of continuing growth in residential development on hospital services and patients. This is another example of how working with partners across sectors and levels of government can strengthen our collective impact and benefit communities. Thank you to all of our partners and providers who participated in the development of this report. The St. Michael’s Residents’ Health Services Panel is a new initiative of St. Michael’s Hospital. 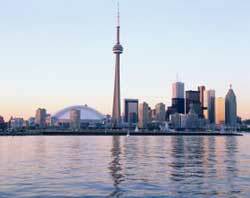 Comprised of 28 residents representing the Mid-East Toronto community. Panelists have been tasked with advising how to improve health services in the area. For example, what are the gaps in care? How can health care providers address these gaps? Given the pressures on our health system resources, how should we prioritize needs? Half way into its one-year term, the Panel has completed the first phase and released its inaugural report summarizing principles and priorities for the local health system. The report is full of great insights and exemplifies what is possible through true community engagement and commitment. To learn more about the principles and priorities put forward by the Panel, read the report here. What’s next? The Panel will meet four more times over the course of 2016. During these meetings, they will learn about new initiatives designed to improve local health services. The Panel will provide valuable input and advice to ensure the new services address the needs of local residents and provide maximum benefit. 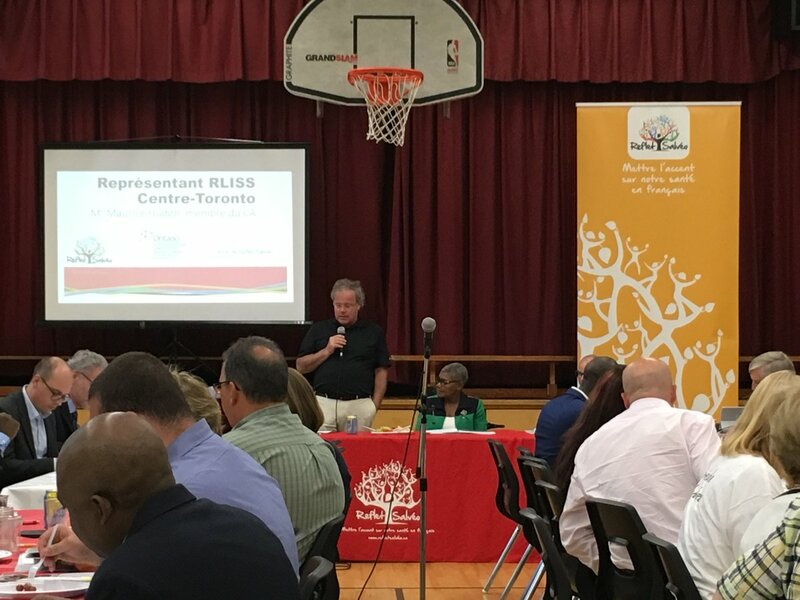 The Toronto Central LHIN is proud to support this project and we would like to congratulate the Panel and St. Michael’s on their work and progress to date. 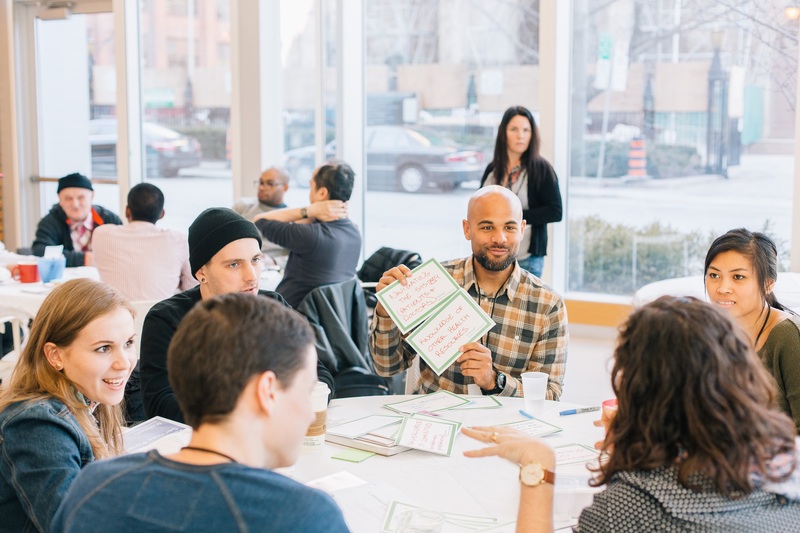 Last fall, Toronto Central LHIN hosted a Health Equity Symposium. This event kicked off our health equity efforts and was a great success. We were very fortunate to have a number of talented and dedicated speakers at the event, including Dr. Gary Bloch - a family physician with St. Michael’s Family Health Team. At the event, Dr. Bloch presented some of his groundbreaking work related to equity and health. A fundamental component of the St. Michael’s Family Health Team’s work is the collection of patients’ socio-demographic data. Collecting information about patients related to the social determinants of health (e.g., income, race) helps Dr. Bloch and his team better understand the needs and realities of the communities they serve. It also allows them to target their programs and evaluate their efforts through a “health equity lens”. The collection of socio-demographic data is an integral step in identifying and addressing health inequities. Toronto Central LHIN believes that front line clinicians are well suited to identify and help address the social and economic factors that impact health. In fact, the goal of our Health Equity Data Collection project was to create an evidence-based tool that captures patients’ demographic data to inform and initiate a private conversation between providers and their patients about their health, and how best to support them. 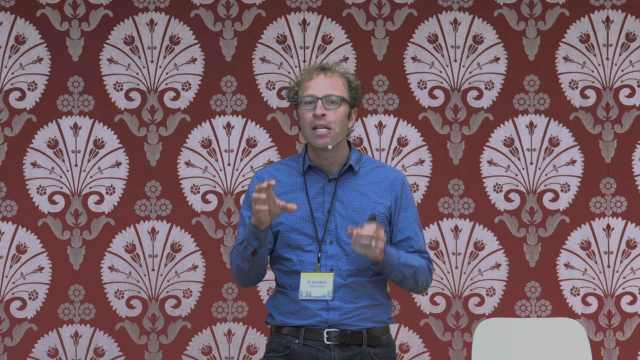 Dr. Bloch’s evidence-based approach to identifying and treating the impact of poverty is great example of a health equity intervention that can be replicated across our primary care system. 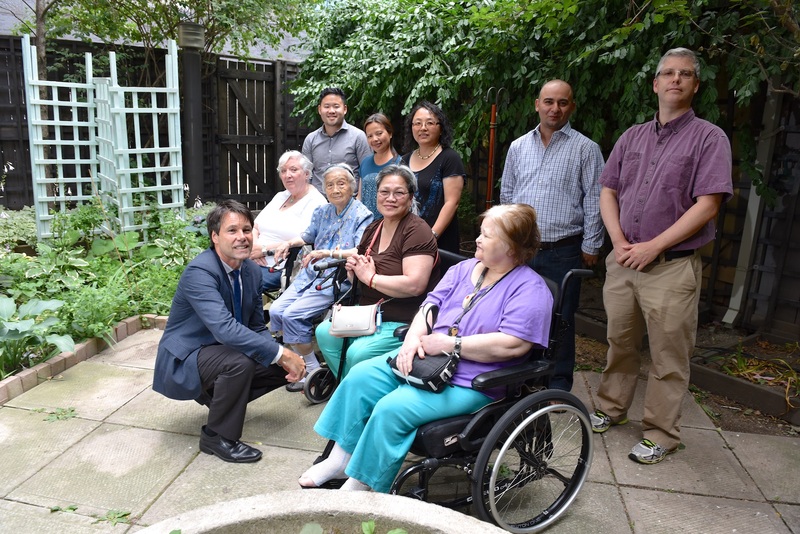 On July 19, 2016, the Ministry of Health and Long-Term Care announced an additional investment of $100 million for 2016/17 to enhance support for home care clients with high needs and their caregivers. This new funding will provide home care clients and their caregiver’s access to additional hours of nursing care, personal support, respite services, and rehabilitation. Address LHIN-specific service requirements and emerging needs in the community. What’s next? Toronto Central LHIN is very excited about the potential impact of these additional funds on the lives of patients and caregivers. We look forward to working with our home and community care partners to ensure these new investments are directed towards those who need them most. Today (September 13) we hosted a webinar to share in more detail our plan for Transforming Primary Health and Community Care. Reflet Salvéo, the French Language Health Planning Entity works with the Central West, Mississauga Halton and Toronto Central LHINs to plan health services in French, held its 6th Annual General Meeting on August 29th. More than 80 participants converged at the event. Toronto Central LHIN Board member Maurice Hudon delivered remarks on behalf of Toronto-Central LHIN highlighting our joint achievements in 2015-16 which are reflected in their Annual Report. During the AGM, a new Board was elected including Isabelle Girard and Lise Marie Baudry as Board Chair and Vice-Chair respectively. Both are Executive director of two Toronto Central LHIN funded designated Francophone agencies: the Centre d’Accueil Héritage (CSS/LTC) and the Centre Francophone de Toronto (CHC). The Toronto Central LHIN Citizens' Panel is a diverse and dynamic group of citizens who are collaborating with us to help shape their local health care system. The Panel’s valuable experience and insight are helping to ensure that all Toronto Central LHIN planning is grounded in what matters most to the individuals, families and communities we serve. 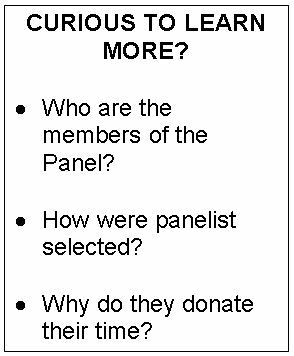 Citizens’ Panel members will use their combined experience, values and priorities to inform the work of the Toronto Central LHIN, which is striving to embed the patient and community voice in every program it supports. This is consistent with the Toronto Central LHIN’s Strategic Plan, which is aligned with Ontario’s Patients First Action Plan for Health Care. Meet our Citizens' Panel members. 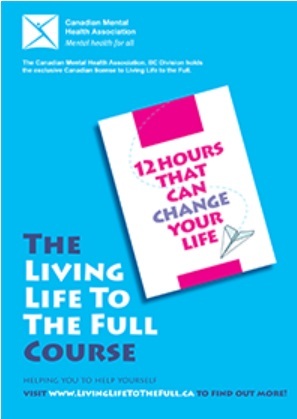 Living Life to the Full is an interactive 8-week course that provides skills and knowledge to cope with life’s challenges. By participating in Living Life to the Full, caregivers can learn principles of cognitive behaviour therapy to feel more in control of their lives, happier, and more socially connected. Canadian Mental Health Association (CMHA) is excited to offer this course for free to caregivers aged 55+ living in Toronto. In eight enjoyable 90-minute sessions - one per week - this program helps people make a difference to their lives. Each session is expertly moderated and includes a free booklet. Questions about the project? Please contact Jenny Hardy, Program Manager, at jhardy@ontario.cmha.ca or (416) 977-5580 ext. 4135. Copyright © 2016 Toronto Central Local Health Integration Network, All rights reserved.